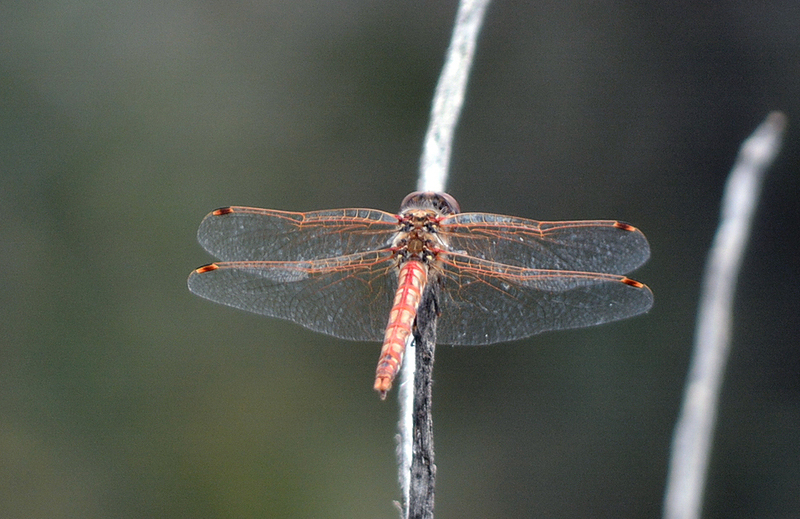 Who would have thought when Tony took this photo in our backyard a few days ago that the very next day we would come upon a ton more dragonflies at Watson Lake? 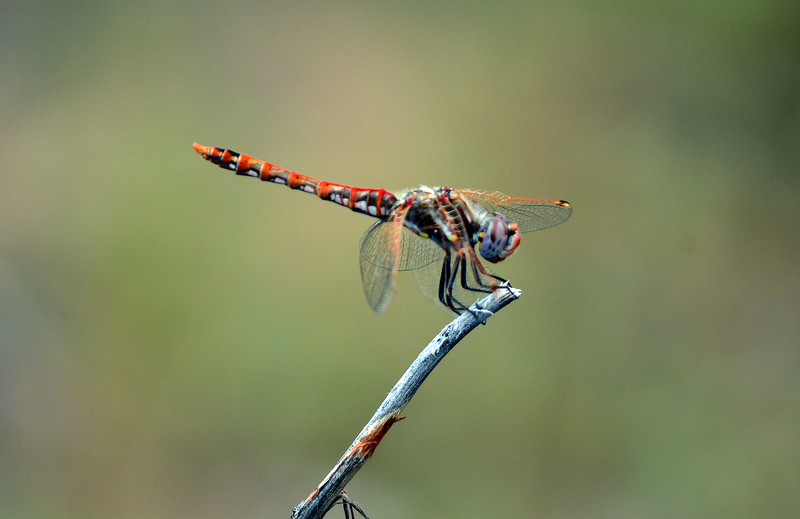 This one above is a Variegated Meadowhawk…I’m amazed at the colors he has when studied closely. Click photos for more detail. 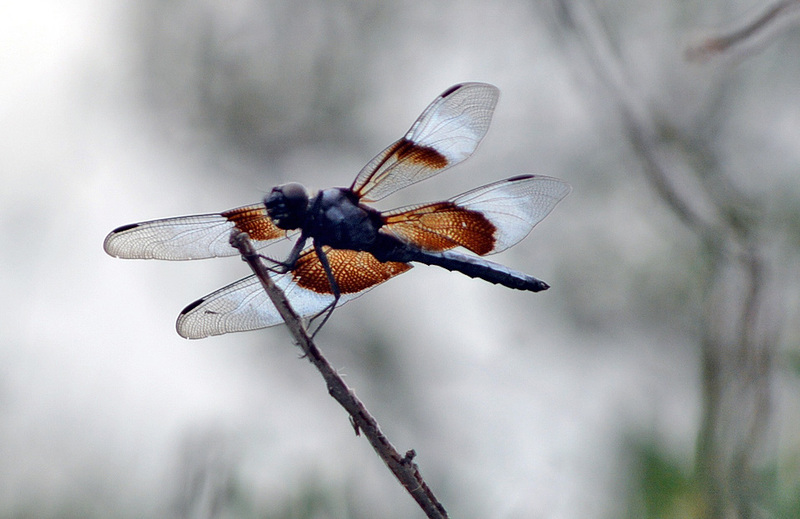 I love identifying unknown-to-me wildlife but I’m having difficulty ID’ing several of these dragonflies even on this site dedicated to Arizona Dragonflies (of which there are a countless amount). 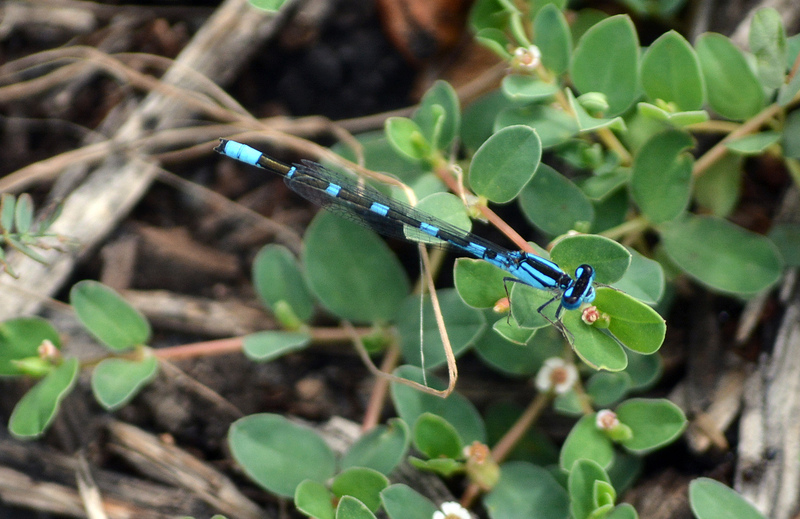 These Familiar Bluets were all over the place. 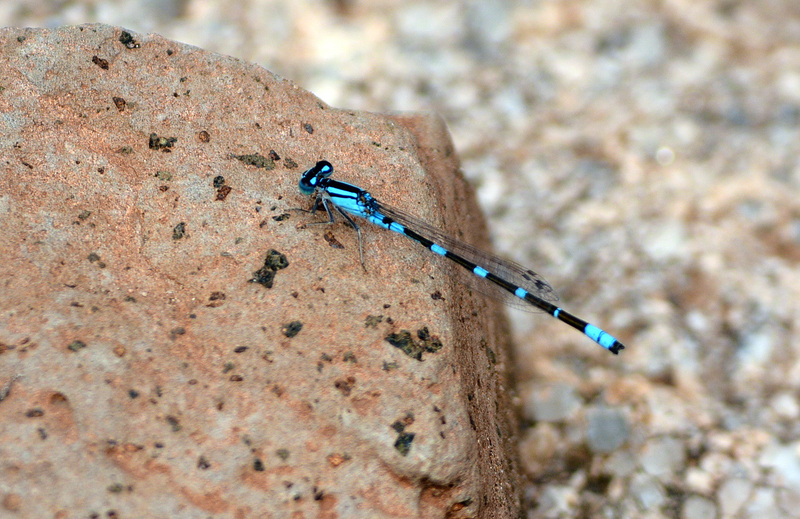 There are several varieties of bluets but I think I have correctly identified this type. 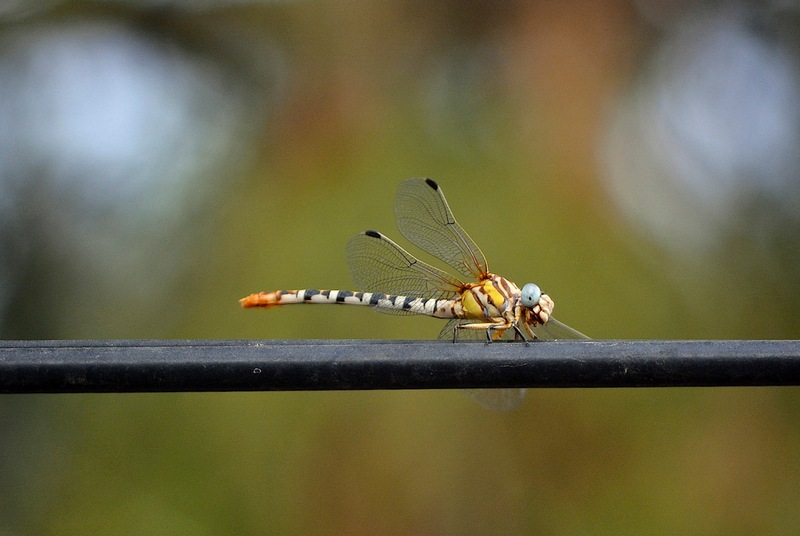 I am going to ask The Dragonfly Woman (an aquatic entomologist with a blogging habit) if she’ll drop over and tell me what they are…she used to live in AZ so I’m sure she can promptly identify them. 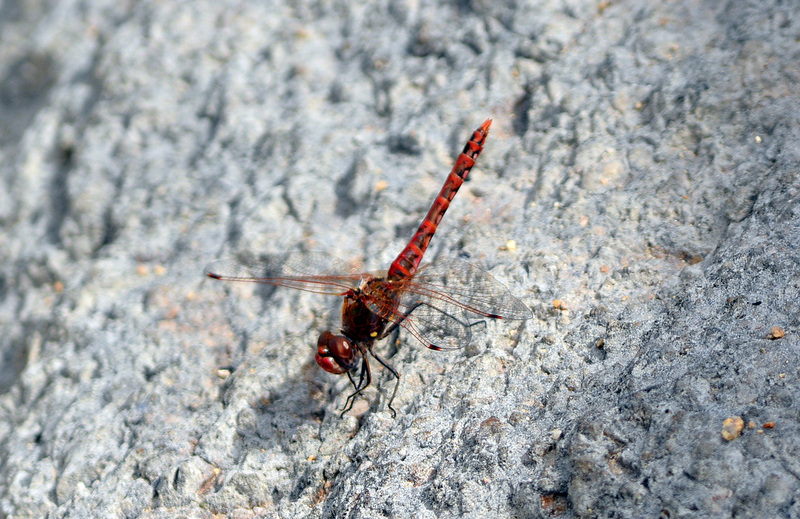 This one’s wings shimmered like diamonds in the sunlight. And this little ladybug was originally going to be in my next post about other wildlife we saw at Watson Lake but she would have been the only insect represented so here she is now. 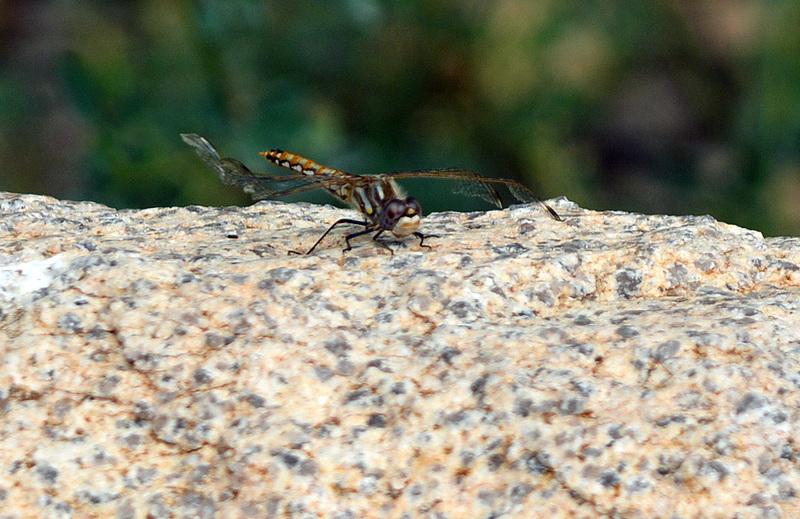 Posted on September 4, 2013 September 5, 2013 by CandacePosted in ArizonaTagged Arizona, Dragonflies, Granite Dells, Prescott, Travels, Watson Lake. I especially love the little ladybug. There are some beautiful dragons down there! Great photos! I guess when I was there I had no way to see them up close; I think I missed a lot! I guess they are an exception to the brightly-colored creatures are toxic rule? 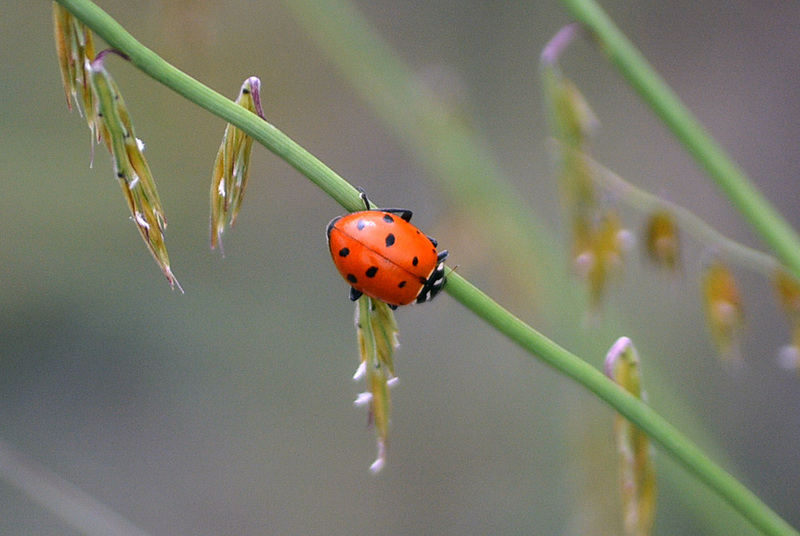 It’s a brave bug that wears such colors but has nothing but bluster to back it up. Hi! 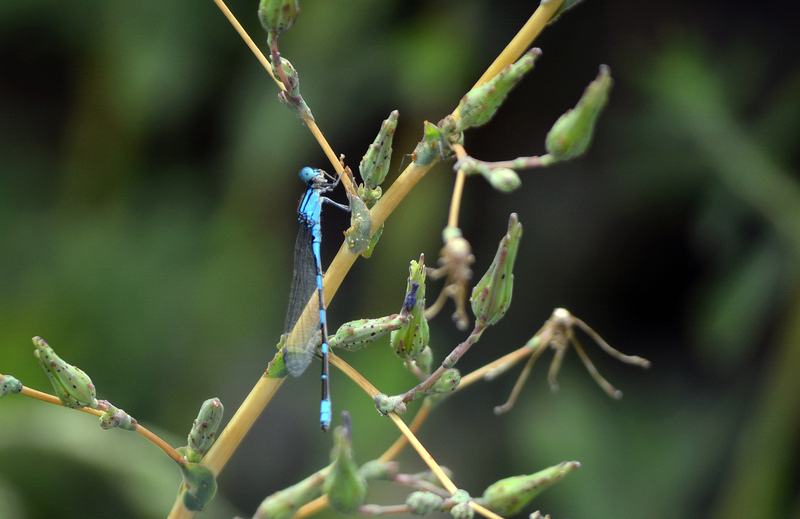 Took a look at your dragonflies as requested and I think you’re right about the damselfly being a familiar bluet. 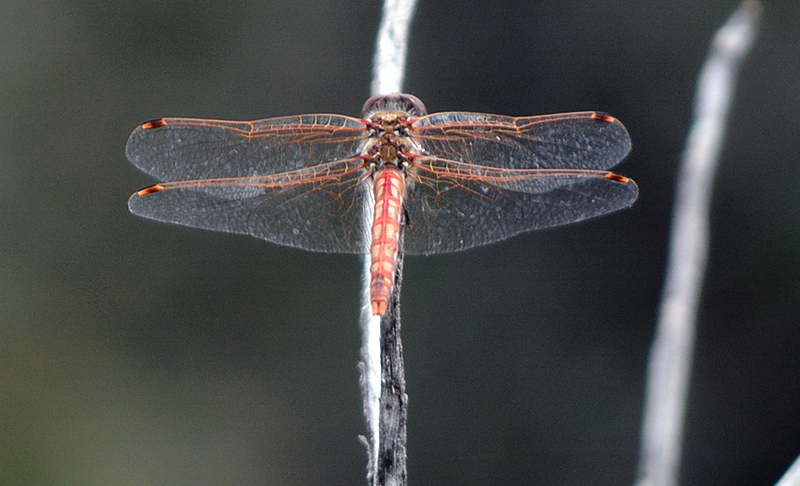 As for the rest, all the reddish ones are variegated meadowhawks, including the stripey looking one at the bottom (it looks like a female). 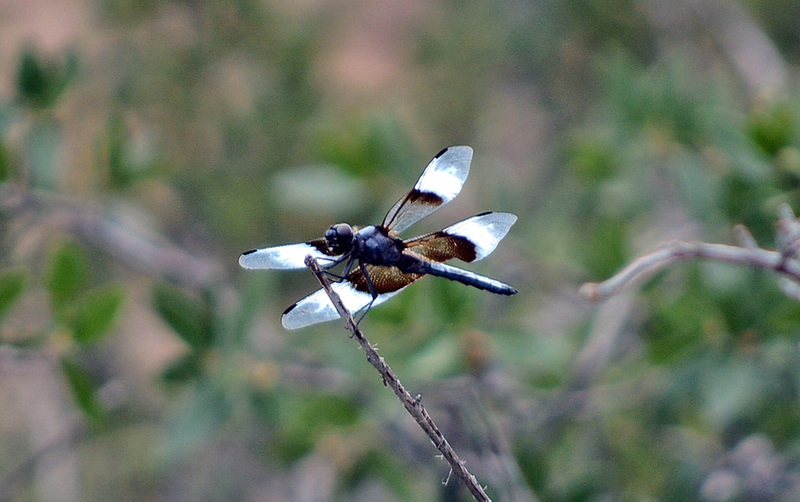 The black and white dragonfly is a widow skimmer, which I never saw in AZ and am excited you had a chance to see there! They’re not rare or anything, but they never seemed to be at the locations where I went frequently. And, just because I feel like sharing, your ladybug is a convergent ladybug! Nice finds!